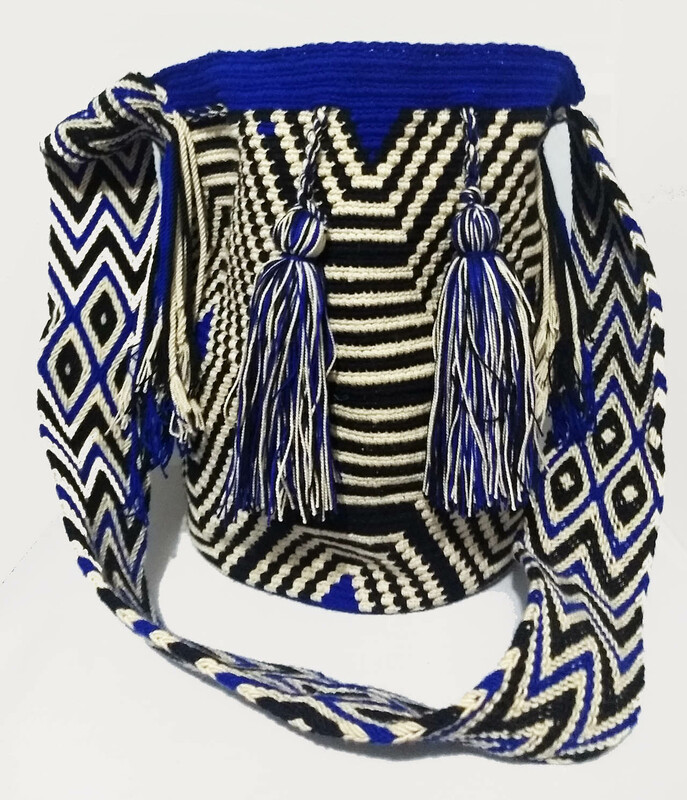 Wayuu Mochila, two cotton thread. Strip made in manual loom. Beige and blue color with black geometric designs. Measures 21 x 30 centimeters. This model available for shipping in 2 business days. Size 21 x 30cm. View large picture.